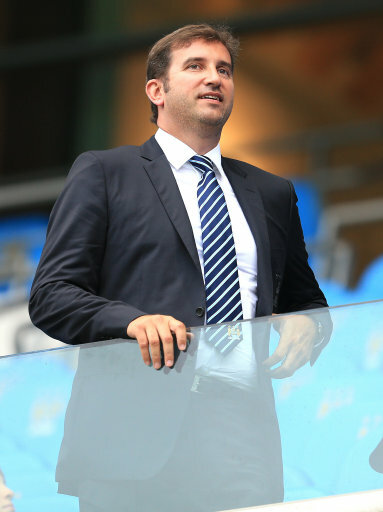 Man City chief executive Ferran Soriano has been implicated by Catalonian prosecutors in an ongoing investigation into the way former Barcelona president Joan Laporta allegedly illegally monitored internal communications during his time at the club. Prosecutors have accused Soriano, who served as Barca’s financial vice-president during Laporta’s tenure, of approving payments to outside parties for spying on internal staff emails. He reportedly signed off several invoices to a company called ‘Cyber Experience’, which installed an internal server to flag-up internal emails containing certain keywords. All the relevant emails were then collated and reported to Soriano and the rest of the board members in meetings. “The senior prosecutor has found that Soriano signed off invoices to another company, Intelligence Bureau, and Cyber Experience and that meetings were held to keep Soriano and other board members informed of findings. “Originally, around 20 computers were monitored in this way with “stopping leaks to the press” being the motivation behind the surveillance, but Cyber Experience later recommended covering the whole internal network. “Prosecutors have also found that Barcelona paid a private detective agency to compile files on four presidential candidates at a cost of £14,000 each, without their knowledge. The prosecutor told the Court of Justice of Catalonia said he had found “indications of criminal responsibility”, but Soriano, who ended his five years in Barcelona in June 2008 with a vote of no confidence from Laporta, has not yet been formally charged with anything. Laporta himself has gone on record as saying “the whole thing was based on a campaign to discredit the reputation of the president and managers of FC Barcelona in the period 2003-2010”. Internal espionage? Suspected moles and sleeper agents? The ‘Intelligence Burea’? Crikey, it’s likes something from a Len Deighton novel. I skimmed over the headline and had to do a second take because I thought it said Man City Chief Executive fingered.